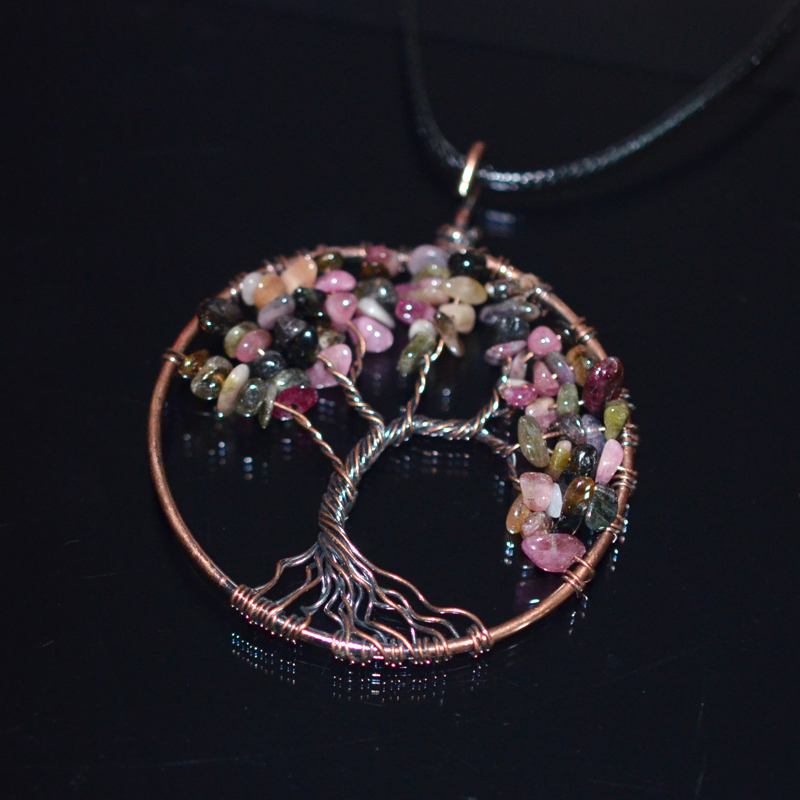 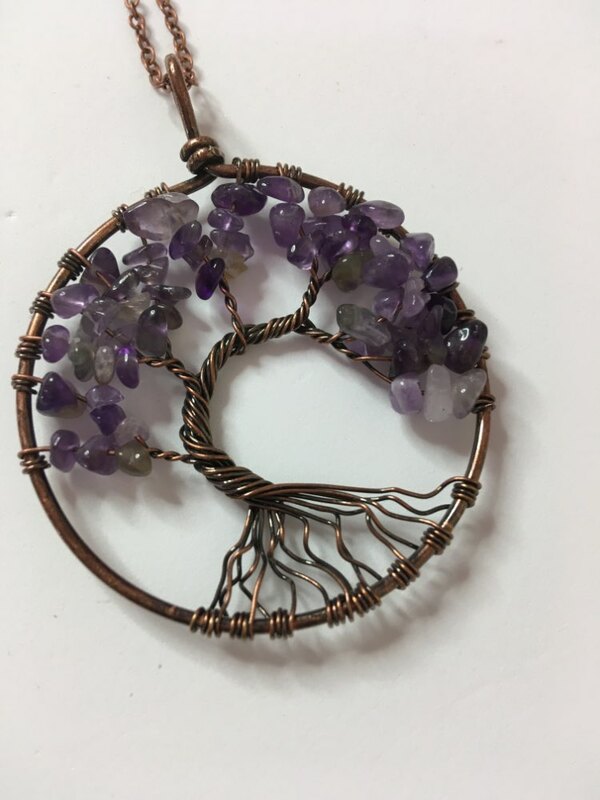 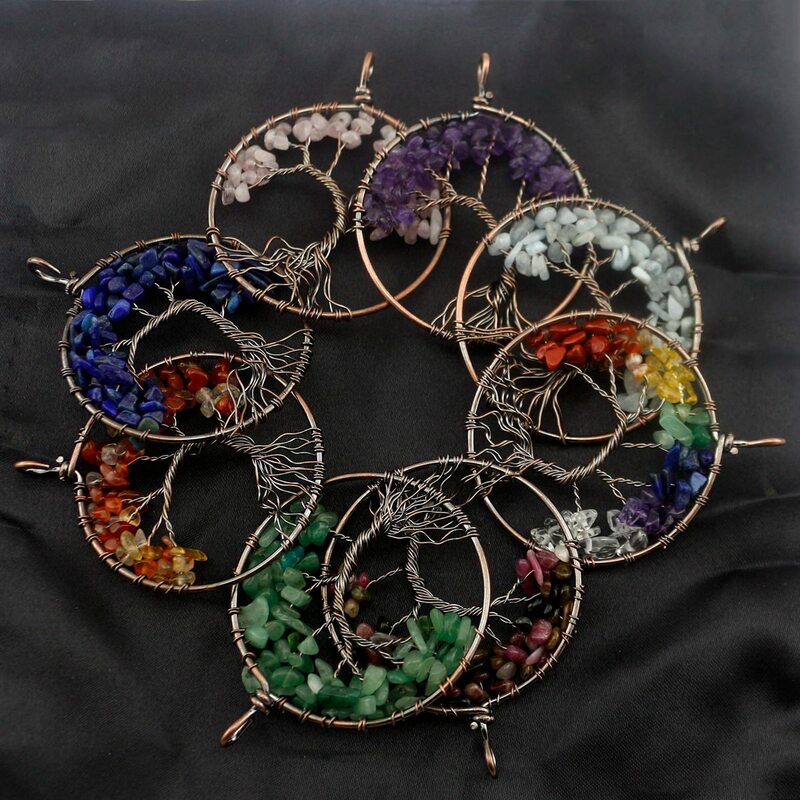 This beautiful Chakra “Tree of Life” pendant makes an incredible energy piece. 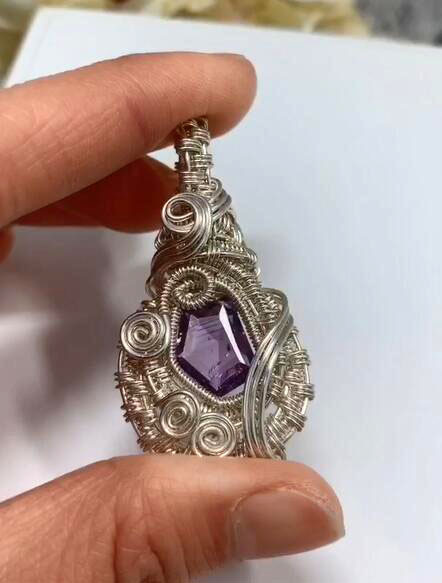 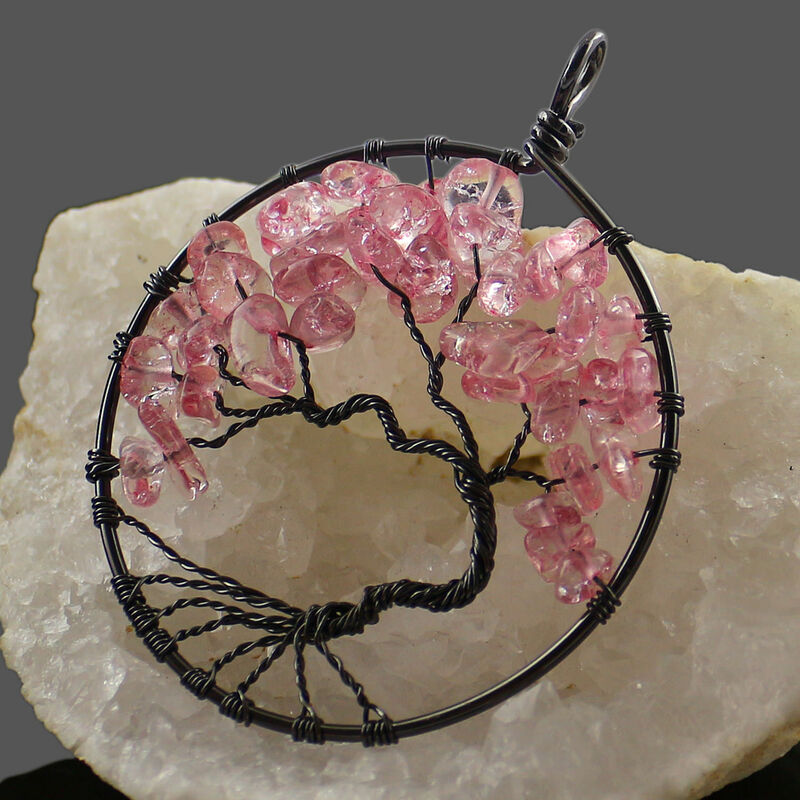 There are 7 clusters of tumbled chips creating the “leaves” on a silver-plated twisted wire tree. 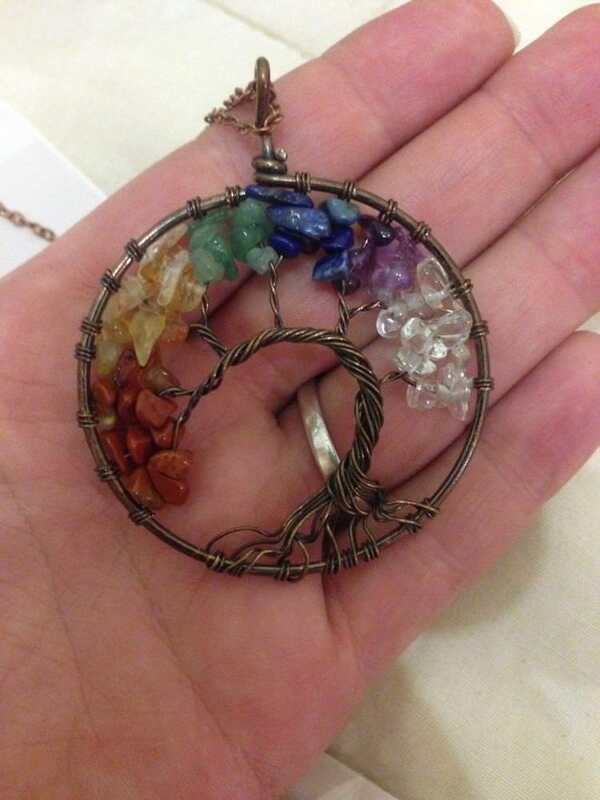 Each gemstone represents one of the 7 major Chakras and includes Amethyst, Iolite, Neon Apatite, Peridot, Citrine, Carnelian, and Garnet. 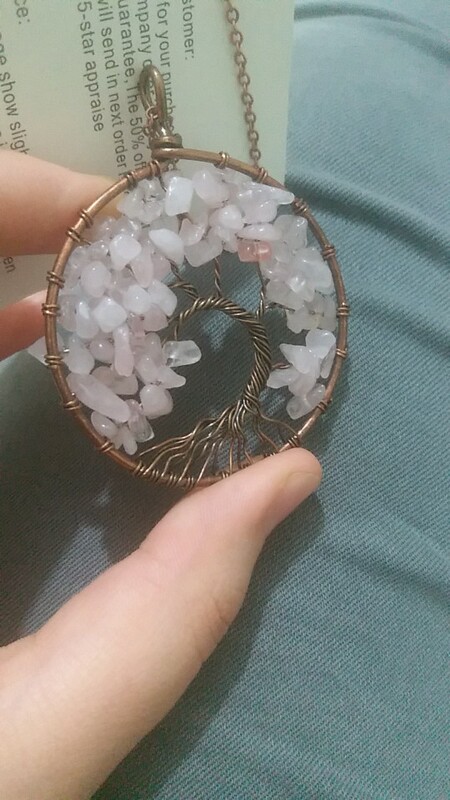 Super pleased they are beautiful just as described!